It's not often that you see Santa Claus outside of Christmas, so it's fun to see him enjoying a Summer beach getaway before he gets busy for the Holidays. 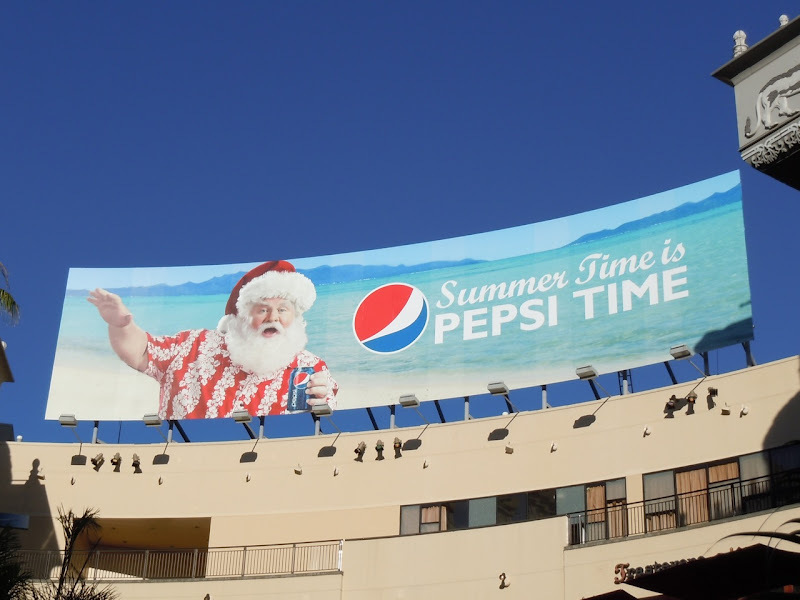 This jolly campaign is a totally different take aimed at convincing the thirsty public that their cola is the best, compared to Coca-Cola's recent Enjoy Summer billboards. 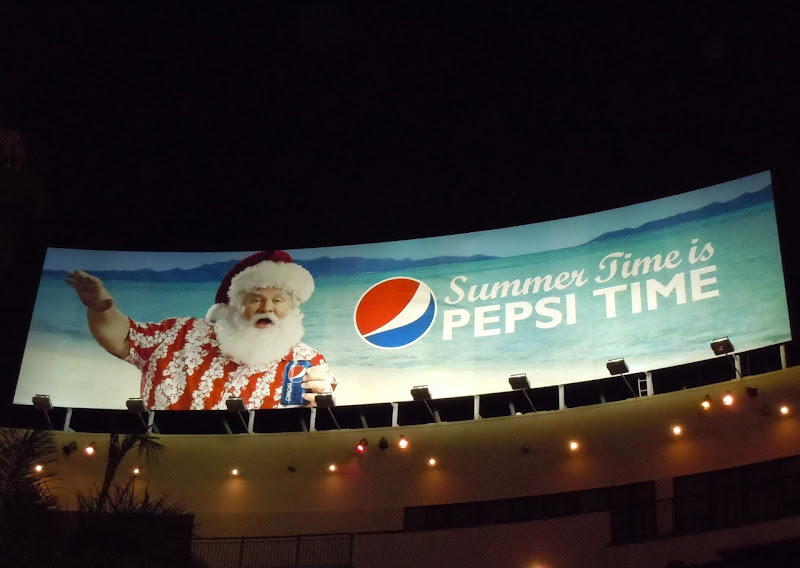 Pepsi's Santa billboard was snapped at night at the Hollywood & Highland Center in L.A. on July 15 and in daytime on July 19, 2011.